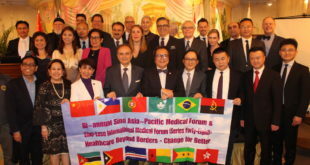 A series of high-level medical exchanges with Macau and Beijing healthcare professionals took place in Beijing from October 10 to 12. 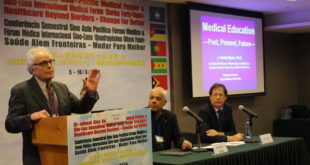 The Macau team was led by Prof. Manson Fok, Dean of the Faculty of Health Sciences at the Macau University of Science and Technology (MUST) and President of the Sino-Luso International Medical Forum. 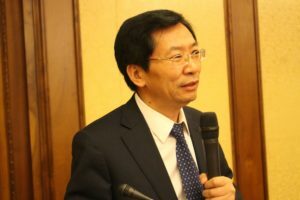 High profile Beijing consulting members included Dr. 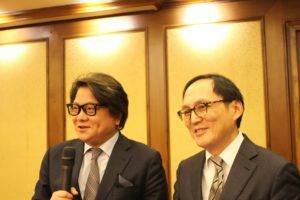 He Zhaohua, Deputy Director General of International Cooperation Department (Hong Kong, Macao and Taipei) of the National Health and Family Planning Commission (NHFPC), as well as Dr. Wang Yaoxian, Dean of First College of Clinical Medicine, Peking University of Chinese Medicine. 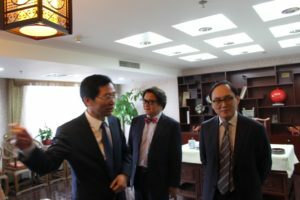 Dr. Zhang Junhua, Health and Human Resources Director of the NHFPC, Prof. Jiang Baoguo, President of Peking University People’s Hospital, and Prof. Wang Tianbing, Assistant President of Peking University People’s Hospital, also helped invigorate the discussions. 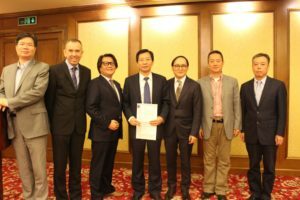 Managing Director Mr. Mike Dethick and Director Dr. Li Jun from the Beijing based Research & Development Pharmaceutical Association Committee (RDPAC) participated with talks in regards to the strong support from Gates Foundation and the upcoming prestigious Galien Awards to be held in Beijing in March 2018. 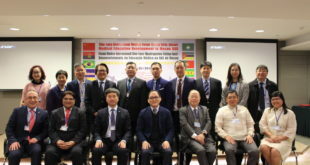 For this maiden China launch of the Galien Awards, MUST and Sino Luso International Medical Forum will be supporting bodies. 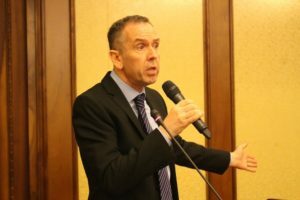 The teams held discussions at Peking University Peoples’ Hospital that included talks about further collaborations in trauma medicine. 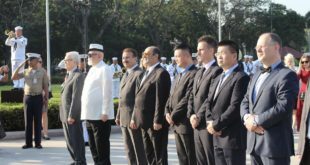 They will also come back to Beijing mark the 100th Anniversary of Peking University Peoples’ Hospital in 2018. There will also be a brand new healthcare and teaching facility hospital in Tungzhou, Beijing. This facility will have the state-of-the-art aerial medicine training for trauma care, and the Faculty of Health Sciences at MUST will be partnering with them. 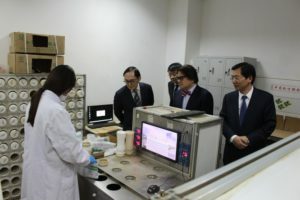 The team toured the state-of-the-art facilities of the First College of Clinical Medicine, Peking University of Chinese Medicine. 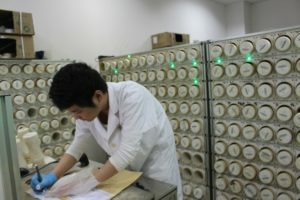 The latter now uses enterprising technology to gauge patient health, such as machines for hand, tongue, and chest scans for diagnostic purposes. 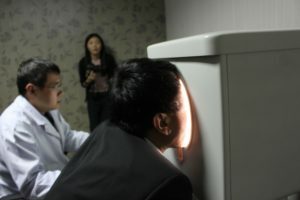 From there, traditional Chinese remedies are prescribed by certified doctors. This sophisticated center blends the professionalism of a modern hospital clinic with traditional Chinese herbs and medicines for ailments.